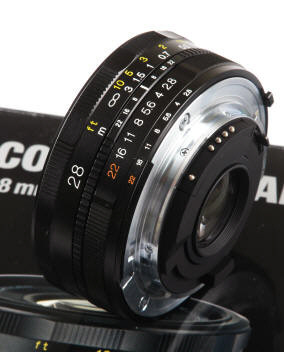 Compact manual focus 28/2.8 lens for modern Nikon SLRs, vintage film AI/S cameras, for ALL Leica M mount cameras and ALL mirrorless digital cameras via the appropriate adapter. Takes 52mm filters. Optional dome Type Lens hood LH-28N for full frame domed lens hood with click on cap or dome Type Lens hood LH-40N for APS-C Sensors. HMM. 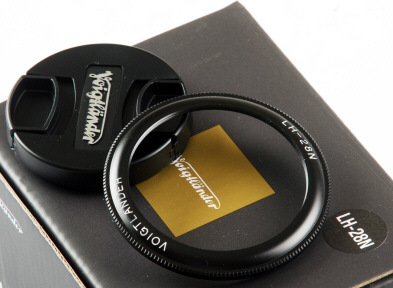 The LH-28N lens hood has STANDARD 52mm threads. I wonder what other 52mm filter thread lenses it can be used on ??????????? I bought this lens to use on the Nikon D810 as a travel lens. 36mp FF at 28mm, 25mp 1.2crop at 34mm, and 15mp 1.5 crop at 42mm. Three focal lengths in one small package. I have fallen in love with this lens. As the Angry Photographer said, this lens is a must have lens. Works great on my D810 except it doesn't recognize the highlight weighted mode. So far that hasn't been a problem. I had one incident with sun flair. I went ahead and bought the optional lens hood. Haven't tested it yet. 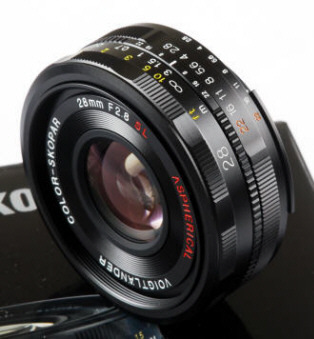 I will say it comes with a 43mm lens cap that is much better than the 52mm cap(it stinks)! This lens is sharper at 28mm/ 2.8 than my Nikon 24-70mm lens is at this setting. This is my first manual focus lens. With CPU chip, <dot> in ovf, and practice this has been one fun learning experience. Ordering this lens from CameraQuest has been great!! I called Stephen Gandy prior to ordering and he answered all my questions in a kindly manner. What Mr. Gandy told me he would do, he did so expediently! If you have a problem Mr. Gandy will make things right.!! !